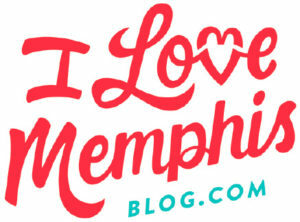 We Memphis for a reason – okay, LOTS of reasons! From music, food and our rich history to green spaces, medical districts, theaters, sports and so much more. Memphis has something for everyone. Situated on the Mississippi River, Memphis is a stone’s throw from Arkansas and Mississippi, with a population of more than 650,000 people. Known for our blues, soul and rock ‘n’ roll music from legends including Elvis Presley, B.B. King and Johnny Cash, every corner of the city has live music events to suit whatever your taste is in music – especially on the world-famous Beale Street downtown. And speaking of taste, you can find just as many scrumptious, authentic barbecue joints here, too. Why not get some fresh air and see the city from a walking or bike trail? Memphis is one of the most bike-friendly cities with 55 miles of bike lanes and the Greenline’s seven miles, plus Shelby Farms, which is one of the largest urban parks in the U.S., covering more than 5 times the area of Central Park in New York City. The greater Memphis area has so much to offer! While each part of town is terrific in its own way, our various neighborhoods might just speak to you differently as your place to call home. We’ve conveniently divided Memphis into the nine main areas and provided a little information about what makes each special. If you’re still not sure where to begin your search for a new house in the Memphis area, our experienced, local realtors are happy to help guide you. Arlington has seen wonderful growth over the past several years. Just 30 miles from Memphis International Airport, Arlington’s location on the eastern boundary of Shelby County makes it easily accessible to multiple modes of transportation, shipping and businesses, with prime access to four main roadways: Interstate 40, Highway 385 (future I-269), U.S. Highway 70 and U.S. Highway 64. Arlington has four public schools: Arlington Elementary, Donelson Elementary, Arlington Middle and Arlington High. Arlington has the lowest property taxes in Shelby County and has made significant investments in the city’s infrastructure including roads, wastewater treatment and recreational amenities. Arlington boasts eight parks, including the Arlington Sports Complex, plus pedestrian paths and a nature trail. Begin your search for houses for sale in Arlington. The city of Bartlett touts itself as “A great place to live, work, raise a family and retire.” A rapidly growing, full-service city, Bartlett is in the center of Shelby County. It’s easily accessible from five exits off of Interstate-40, and nearby I-240 provides quick access to Memphis International Airport, sports and entertainment attractions and convention facilities in Downtown Memphis. There are 11 elementary, middle and high schools in the Bartlett City Schools (BCS) system. And BCS’s Dr. David Stephens was named the 2017 Tennessee Superintendent of the Year – a huge, statewide honor. The city is made up of a mix of residential areas, retail and industrial and commercial centers including a farmer’s market, historic sites, restaurants and parks. Bartlett proudly calls itself a green city, having created an extensive system of parks and greenways and making sure to plant trees throughout every new business development. The city’s vision for the future includes focusing on the residents’ quality of life education, economic development and government. Begin your search for houses for sale in Bartlett. A suburb of Memphis, Collierville is home to its own school system with a small-town atmosphere, parks and recreation facilities, office and retail developments and beautiful neighborhoods. Collierville has the amenities and services of a large metropolitan area nicely blended with historic charm and character. The newly created Collierville School System serves about 8,000 students in elementary, middle and high schools. In 2014, Parade Magazine recognized Collierville as having “America’s Best Main Street” for its historic and charming downtown and the quality and vibrancy of its town square. The same year, the White House designated Collierville as one of the nation’s “Preserve America Communities” for its ongoing efforts to preserve Collierville’s rich history and character. And, Backgroundchecks.org listed Collierville as one of the “The Safest Cities in Tennessee,” while other consumer publications deemed Collierville as the “best city in Tennessee for job seekers” and one of the “top cities in Tennessee.” Begin your search for houses for sale in Collierville. Downtown is the central business district of Memphis, right along the Mississippi River between Interstate 40 to the north, Interstate 55 to the south and I-240 to the east. The 6.5-square mile area is a made up of nine smaller neighborhoods – each with its own distinct feel and charm. From Mud Island and Uptown to The Pinch, The Core/Civic Center, Victorian Village, The Edge, Medical District, Beale Street and South Main – there’s an area that fits everyone’s needs and wants. Downtown Memphis features an eclectic mix of homes and is bursting with places to go and things to do including an exciting entertainment district, FedEx Forum, AutoZone Park, The Peabody, Bass Pro Shops at the Pyramid, Tom Lee Park green space, museums, history tours, live music venues, shopping, art galleries and incredible restaurants. Downtown Memphis is a great place to live, explore, work, eat and shop. Begin your search for houses for sale in Downtown Memphis. East Memphis is a commercial and residential powerhouse, with some of the largest homes in the Memphis area. This part of the city has numerous thriving businesses and a high concentration of churches, schools, restaurants and shopping centers, most with easy access from Poplar Avenue, the main street that runs through East Memphis. There’s an abundance of attractions including the Pink Palace Museum, Children’s Museum of Memphis, Memphis Botanic Garden, Shelby Farms and several parks, plus Victory University and the University of Memphis. Residents have plenty of schools to choose from with 15 public elementary, middle and high schools, and several private schools including 19 religiously affiliated schools from Catholic to Jewish, Episcopalian, Methodist, nondenominational and more. Begin your search for houses for sale in East Memphis. The suburb of Germantown is known for its lush greenways, Southern hospitality and emphasis on the arts. Don’t be surprised when you come across the life-sized sculptures of horses along major streets in Germantown, which are a nod to the city’s rich equestrian history and seasonal horse shows. At the Germantown Performing Arts Center (GPAC), enjoy world-renowned performing artists and shows throughout the year, plus educational activities and exhibits. With a focus on sustainability, Germantown offers residents a safe, attractive and energetic community including the Germantown Public Library, Germantown Athletic Club, Bobby Lanier Farm Park and GPAC Youth Symphony Orchestra. Plus, the city’s initiative, ‘Healthy Germantown,’ promotes physical activity, healthy eating and stopping tobacco use by providing the community resources to help residents embrace a healthy lifestyle. All children living inside Germantown’s municipal boundaries can attend the Germantown Municipal Schools plus several private schools, Shelby County schools and two higher education institutions. Begin your search for houses for sale in Germantown. Just 24 miles from Memphis is the city of Lakeland, whose charming slogan is “Where quality is a way of life.” Surrounded by nature and green space, Lakeland focuses on numerous opportunities for outside events. From its concert series at the LAMP Amphitheater and annual City of Lakeland community celebration to the popular Tour de Lakeland bike ride & Spring Festival, fishing rodeo, sports activities for kids and adults, plus parks and recreation facilities, there’s no shortage of exciting activities. The city also boasts some incredible mountain biking and hiking trails as part of its Lakeland Trails Project. And, with its own Lakeland School System, students can attend Lakeland Elementary school or the new Lakeland Middle Preparatory School. Begin your search for houses for sale in Lakeland. The City of Memphis is the largest city in Tennessee, with a metropolitan population of over one million people. Located on the Mississippi River in southwest Tennessee, this vibrant and welcoming city is most famous for being the birthplace of rock ‘n’ roll and the home of the blues. Elvis Presley, B.B. King, Jerry Lee Lewis and even Johnny Cash recorded albums at the legendary Sun Studio. Presley’s Graceland mansion is the second-most visited residence in the United States. Memphis still has a vibrant music scene today, with live music each night on Beale Street and in most areas of the city. Rich in culture and history, Memphis is also home to the National Civil Rights Museum, Beale Street, the Memphis Rock N’ Soul Museum, the National Ornamental Metal Museum and so much more. As a tri-state city, most goods come through Memphis and its transportation and logistics infrastructure. Memphis International Airport is the second busiest cargo airport in the world and home to FedEx’s “Super Hub.” The city sits at a crossroads of the four Rs: railroads, runways, roads and the Mississippi River. And, Memphis is home to several Fortune 500 companies including AutoZone, International Paper and FedEx, as well as St. Jude Children’s Research Hospital and the Memphis Grizzlies. And, make sure you hit up some of the many authentic, Southern barbeque joints and restaurants throughout the city. Begin your search for houses for sale in Memphis. Midtown Memphis is a unique collection of neighborhoods with vintage residential housing, located to the east of downtown. Home to cultural attractions, higher education institutions and noteworthy architecture, it’s known as an anchor in the arts scene, which includes Overton Square, Playhouse on the Square, Hattiloo Theater, Brooks Museum of Art, Memphis College of Art, Memphis Zoo and Levitt Shell. The popular annual Cooper-Young Arts Festival brings in more than 120,000 visitors to the district. And famous playwright, Tennessee Williams, even wrote his first publicly performed play while staying in the Midtown home of his grandparents on Snowden Avenue. Cairo, Shanghai, Bombay! was first performed in 1935 in Midtown. The area also has multiple universities and colleges including Rhodes College, Christian Brothers University, Memphis Theological Seminary, The Southern College of Optometry, Moore Tech and LeMoyne-Owen College. Plus, there are seven public elementary, middle and high schools as well as several private and parochial schools throughout Midtown. And, Midtown has multiple historic districts and commercial corridors too. Begin your search for houses for sale in Midtown.